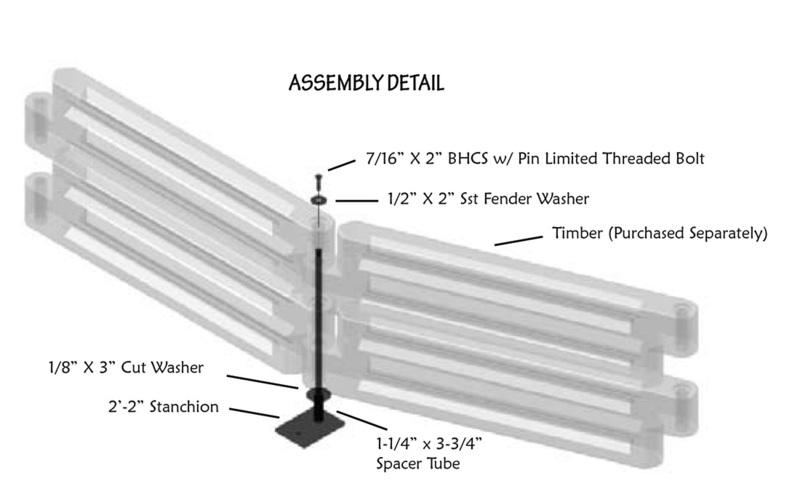 Constructed of 4” wide UV stable polyethylene timbers and powder-coated steel corner stanchions for durability. Assembled using tamper-proof stainless steel hardware. The 28” high walls are low enough for easy entry and exit during play and tall enough for good ball containment to keep the game moving. 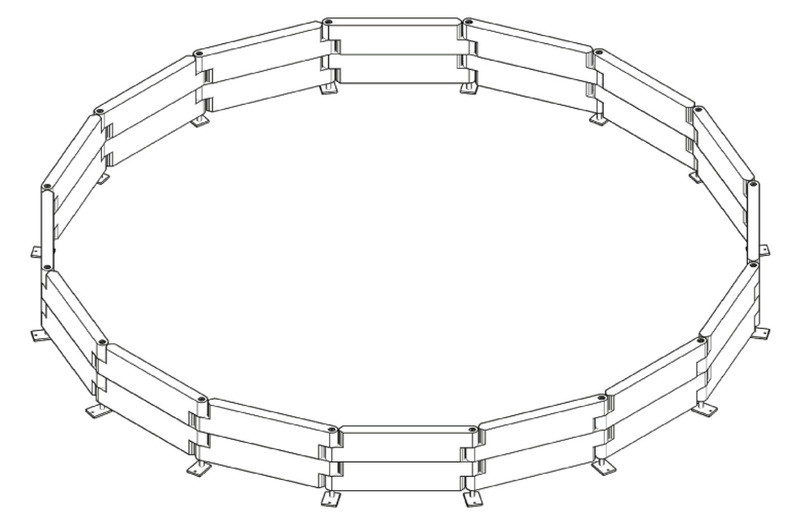 The stanchions can be permanently mounted (anchors are not included) or left free standing to allow players to change the pit shape or so that it can be pushed aside when not in use. Easy to assemble and install. No professional installer needed. Not made from wood which can rot, warp, check, crack and/or splinter. Why don't we use wood﻿? Treated Lumber – Our clients just don’t want treated wood in their play areas any more. A pit could be built with non-treated wood, but the bottom rail and bolt-hole sites would decay quickly. Splinters – Considering all of the ‘over the wall action’ in a game of GaGa, we believe that wood was a very poor choice. Life Span – Long runs (typically 8' long) of treated lumber will twist as they dry and splinters are inevitable. For clients who want good quality products with little maintenance and a good, long service life – wood is simply not a good choice. Ball Rebound – As you’ll see in the video and by reading the rules for the game, an important part of the strategy is to rebound the ball off the GaGa Pit walls. Inflatable or mesh walls will simply not provide the bounce needed for fast-paced play. Durability – Our pit is designed using materials that have a proven record of durability in outdoor play environments and cannot be matched by other softer materials such as nets or inflated plastic. Note: Most users do not permanently anchor the GaGa Ball Pit to concrete. Many prefer to have it remain free standing so that the shape of the pit may be changed or so that the unit may be pushed to the side in order to use the space for different activities. 1/2" x 3-3/4" concrete expansion anchors (not supplied) are required to fasten the pit to concrete permanently and are available from your local hardware store.